Summer is nearly here! I wanted to share something fun we’ve done to commemorate it’s beginning. You might want consider this for your family for Memorial Day, if you don’t already have plans. The backyard campout! Growing up my family used this activity as our traditional celebration of the last day of school and the signal of the start of summer! We’d pop a huge bowl of popcorn and sleep outside in a tent, tell stories and not get much sleep. I will admit that living in Phoenix made me a little nervous to resurrect the tradition with my children. We made sure to do it when Dad was around to guard the tent. We also had to do it earlier in the season, before the serious heat hit. 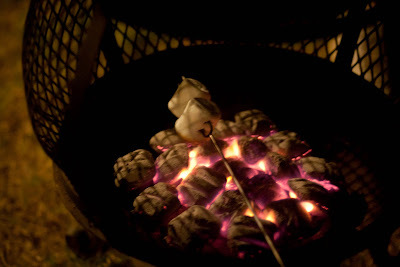 After setting up the tent, we roasted marshmallows for S’mores over charcoal in our chiminea fire pit. Then snuggled in the tent to watch a movie on the tiny screen of the portable DVD player. It kind looks like we are in the woods, since we still have the tree stumps on our yard from the fairy party. 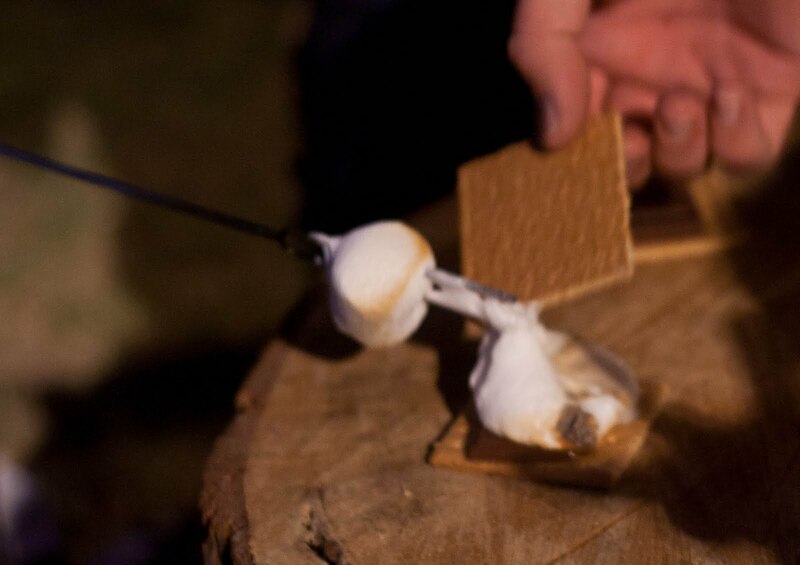 They worked great for camp chairs. Sometimes as parents we think we have to go places and spend lots of money for our kids to be able to have fun and make memories. And while I love going places (not so much spending money), I think my kids enjoy an activity like this at least as much! 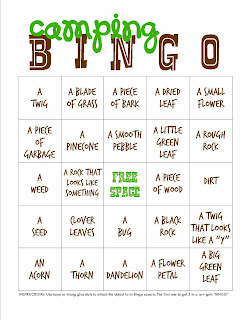 I’ve made a little bingo game that you can use for your backyard or real camping adventures. I got the idea after a late night on https://www.boomtownbingo.com/ , I was really bored in an airport and had to pass the time, it gave me this idea. for the kids version. 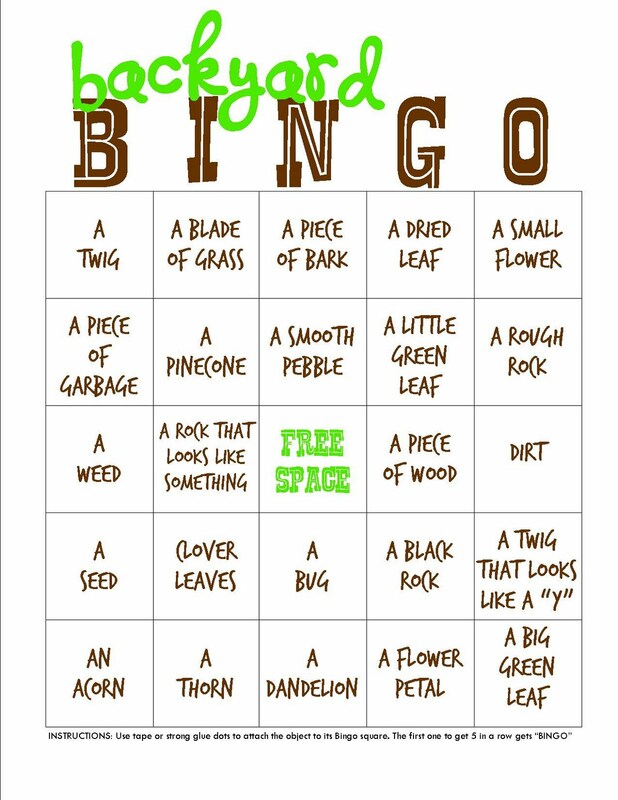 The twist is that the kids are looking to find the various objects and attach them to their card get “Bingo” (I’d recommend strong glue dots, or you could just tape them down with scotch tape). 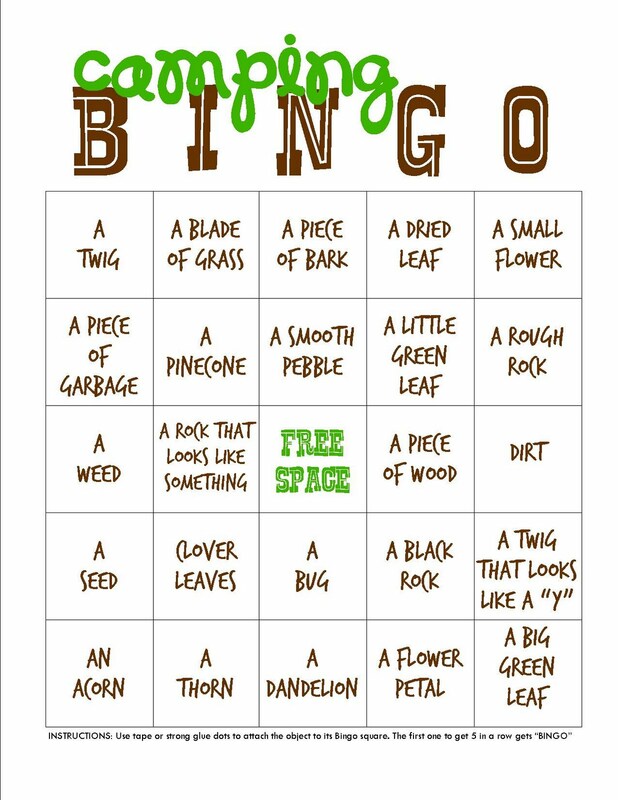 If you don’t have all of these things in your yard, you could just give a prize to the child that finds the most of them in the allotted time. Click on the image to save or print it at full-size. These are the same bingo cards with different titles so you can choose what you want to use which ever adventure (camping or exploring your own backyard) applies best for your family. This post was originally published as a guest post on 30 Handmade Days. 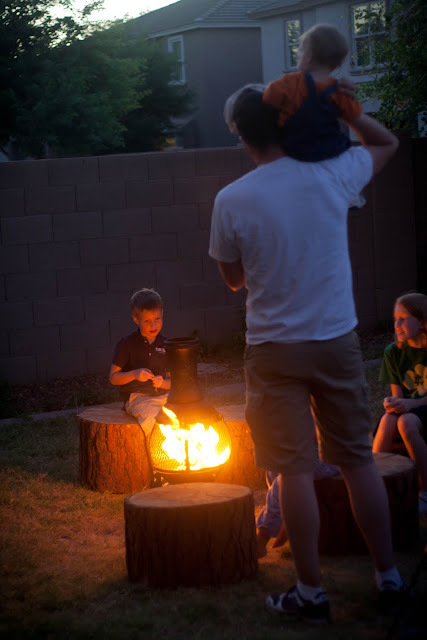 What a wonderful idea to do right in your backyard! And love the ‘scavenger hunt’ style Bingo! 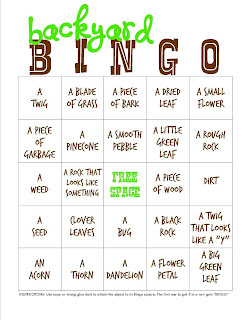 The backyard bingo idea is very creative and fun. I will have to remember this when our little ones are a bit older. Please stop by and link this post to Artsy Play Wednesday. I hope to see you there. Such a fun tradition and you’re absolutely right – you don’t need to spend a lot of money to have fun. Thanks for sharing your campout!